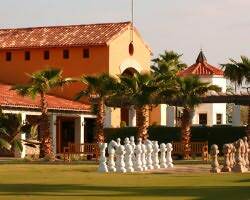 In our quest to provide our customers with the best of golf and accommodations nationally, once and a while we come across a venue that even we as experts find ourselves saying, "WOW! This is special." Stonegate Golf Club is such a facility. It's not just the magnificent 36 hole layout - it's the entire experience. There are quaint Carmel style shops as you first drive in. The multi-functional clubhouse with elegant furnishings is spectacular. Even though I am a non-member, two of the full-time members struck up a conversation to make me feel welcome. During my four hours of snooping around, not once did I see a thing out of place or anyone discontented. It is a picture perfect place to relax. On your next visit to Orlando, treat yourself to something both extraordinary and affordable and visit Stonegate Golf Club.